Stoney-Nakoda or îyârhe Nakodabi, “Rocky Mountain Sioux,” are culturally and linguistically allied to the Plains Assiniboine, but in Saskatchewan and Montana are characterized by differences in language and culture. They speak the northern dialect of the Dakota language.” Stoney: [1,000 to 1,500 (1987 SIL). Ethnic population: 3,200 (1987 SIL). 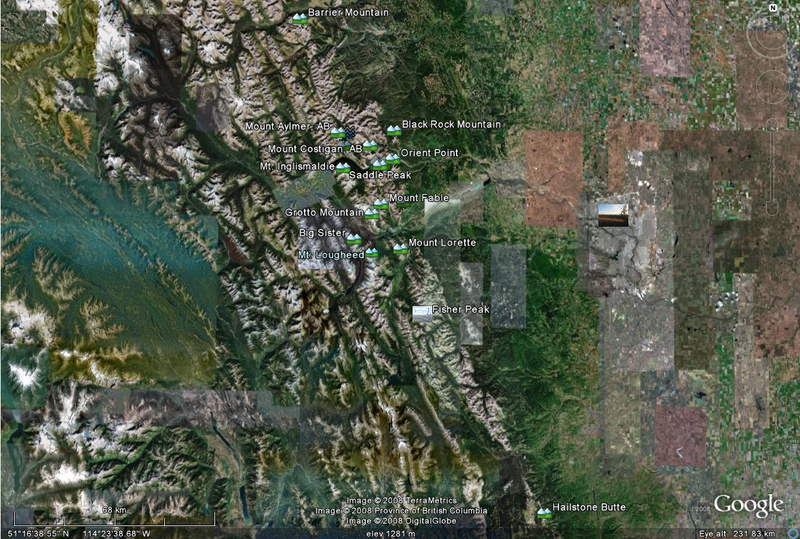 Southern Alberta, west and northwest of Calgary, and central Alberta, west of Edmonton. Southern Stoney occupy 3 reserves represented on the Stoney Tribal Council at Morley, Alberta: Eden Valley, west of Longview, Alberta, the southernmost reserve and principally Bearspaw Band members (about 400 speakers); Morley, west of Calgary, the main administrative center of Stoney Country, with about 2,700 people of all three southern bands: the Bearspaw, Chiniki, and Wesley Bands; Big Horn Reserve west of Rocky Mountain House, the most northerly of the 3, with about 100 people, mostly Wesley Band. Alternate names: Stony, Nakoda. Dialects: Southern Stoney, Northern Stoney. Dialects nearly 100% intelligible with each other. The northern dialect is spoken at Duffield (Paul Band) and Lac St. Anne (Alexis Band). Lexical similarity 89% with Assiniboine, 86% with Dakota of Manitoba, 85% with Dakota of North Dakota, 83% with Lakota. Classification: Siouan, Siouan Proper, Central, Mississippi Valley, Dakota. 11,000 years ago Prehistoric hunters chipped stone spearpoints to hunt in the hot grasslands. The Plano Period (10,000 – 8,000 BP) About 10,000 years ago the climate began to change and grasslands spread across southern Alberta. Mammoths and many other Ice Age animals became extinct, A beautiful example of an Alberta point. While other animals flourished including antelope and a new, smaller species of bison. This period, known as the ‘Plano’ period after the Spanish word for plains, lasted up to 8,000 years ago. Stoney oral tradition asserts that their forefathers resided along the Rocky Mountain foothills from time immemorial. Archaeological evidence indicates that the Dakota (Sioux) occupied what is now western Ontario and eastern Manitoba prior to 1200 AD, and western Manitoba and eastern Saskatchewan prior to 900 AD.?? 1700s Assiniboine hunted bison with bows. Aspen trees were already established. Prior to the arrival of Anthony Henday in central Alberta in 1754, Aboriginal people from the area were trading with Europeans either directly by visiting posts to the north and east themselves, or indirectly by trading with Cree and Assiniboine groups. These Aboriginal traders exchanged goods they had acquired from fur trade posts for furs, Beaver Indians at trading post. horses, food and other products. In turn, they then traded furs and other goods at posts for more goods that they could trade later. In this way European trade goods reached Alberta in unknown qualities for at least half a century before the first European arrived in person to trade. 1790 Surveyors and explorers of the late nineteenth century typically turned to Siouan-speaking Stoney (Nakoda) guides, and as a result many landforms in Banff National Park are still known by their Stoney names. 1799 Rocky Mountain House was established. 1837 OZÎJA THIHA (meaning “bear’s foot”; Jacob Bearspaw; Mas-gwa-ah-sid, which reflects the Cree translation of his name), Stoney warrior and chief; b. c. 1837; d. 1903, probably near Morley (Alta). 1873 Reverend John Chantler McDougall and his father George Millward McDougall set up a mission in Stoney territory. 1875- Cattle ranchers had already arrived. Pine trees were already established.50 years ago Stoney Indian wove freshly-cut willows into the walls of a sweat lodge. There was already an open meadow. 1875 The Ontario family Andrew Sibbald came to Morley, AB from Ontario to teach at George and John McDougall’s mission at Morley. In May 1900, Andrew Sibbald’s son, Howard E. Sibbald became the farmer in charge at Morley, and from 1901 to 1904 he was the Indian agent there. 1879 The Canadian Pacific Railway station was established at Bearspaw in 1879 and was named after Chief Masgwaahsid, (Mas-gwa-ah-sid) or Bear’s Paw, who signed the treaty at Blackfoot Crossing, September 22, 1877. 1880s Indian agents did tolerate or even encourage Indians to hunt for subsistence during the winters during the 1880s and early 1890s, and even later in more remote regions, but they believed that when a sedentary agricultural way of life was feasible for any given community, that community should be dissuaded from hunting. Thus, from the perspective of some Indian officials, the restriction of aboriginal hunting rights might be a blessing in disguise. 1895 Quebec established its 2,531-square-mile Laurentides National Park in prohibiting all hunting in the park. 1898 Bearspaw, along with his fellow leaders, repeatedly lobbied the federal government to grant the Stoney tribe additional reserve land and to respect their hunting rights as promised under the treaty. The three Stoney chiefs formally established a land committee in 1898 to pursue territorial claims. 1900 Quebec deputy superintendent general reported that the aboriginals’ loss of hunting rights in the 2,531-square-mile Laurentides National Park near their reserve was one of the important factors that led them to direct their efforts towards agriculture. 1900 The last known wild passenger pigeon was killed around 1900. 1903-02 The Canadian Magazine published its obituary for the wild passenger pigeon species. “[L]aws for the protection of our fish and game we have in plenty, but laws that are not enforced, and which are not supported by public sympathy, are worse than useless.” See Binnema and Niemi 2006. 1909-06 The Canadian government provided for the hiring of game wardens in national parks. Douglas believed that the Nakoda-Stoney were the most serious threat to the game of Banff National Park and he therefore chose Howard E. Sibbald as the first chief game guardian. 1910 In Glacier National Park in Montana, William R. Logan, the park’s first superintendent, was the former Indian agent on the Blackfoot reservation. 1930s By the 1930s, few Nakoda-Stoney could depend on full-time subsistence hunting. Anderson, Raoul. 1970. “Alberta Stoney (Assiniboine) Origins and Adaptations: A Case Study.” Ethnohistory. Binnema, Theodore (Ted) and Melanie Niemi, ‘Let the Line be Drawn Now’: Wilderness, Conservation, and the Exclusion of Aboriginal People from Banff National Park in Canada. Environmental History. 11.4 (2006): 33 pars. 15 Jun. 2008 <http://www.historycooperative.org/journals/eh/11.4/binnema.html>. Barbeau, Marius. 1960. Indian Days on the Western Prairies. Ottawa. Canadian Parliament. Sessional papers, 1901–5, annual reports of the Dept. of Indian Affairs, 1900–4. Dempsey, H. A. 1978. Indian Tribes of Alberta. GA, M4390, vol.1, note on Chief Bearspaw. Whyte Museum and Arch. of the Canadian Rockies (Banff, Alta), M396 (Hermann Hagedorn papers), folder 3 (transcript of interview with George McLean [Tatânga Mânî). Getty, Ian A. L. Biography. Research director, Nakoda Institute, Stoney Tribal Administration, Morley, Alberta, (spelled as Money not Morley). Getty, W. E. A. 1974. “Perception as an agent of sociocultural change for the Stoney Indians of Alberta.” MA thesis, Univ. of Calgary. Copy at the Nakoda Institute. Getty, Ian A. L.; & Gooding, Erik D. (2001). Stoney. In Handbook of North American Indians: Plains (Vol. 13, Part 1, pp. 596-603). Washington, D.C.: Smithsonian Institution. Jonker, P. M. 1988. The Song and the Silence: The Life of Sitting Wind. Jonker, P. M. 1983. “Compilation of Stoney History Notes.” 20-page pamphlet issued by the Chiniki Band of the Stoney Indians, Morley. MacEwan, J.G. 1969. Tatanga Mani-Walking Buffalo of the Stonies. Morris. Treaties of Canada with the Indians. Niddrie, J. W. 1992. “Memories of Morley.” Ed. J. W. Chalmers, Alberta History. Calgary.40: 3: 10–13. Snow, Chief John. 1977. These Mountains are Our Sacred Places: the Story of the Stoney Indians. Toronto and Sarasota, Florida. Vernacular Publications: Ozîja cha hûyagechîhâ. 1970; Wodejabi. 1971. Oral traditions among the Stoney concerning Ozîja Thiha have been preserved at the Nakoda Institute, Stoney Tribal Administration (Morley, Alta), in transcripts of taped interviews with Elizabeth [McLean] Bearspaw, 8 Feb., 5 Nov. 1984, 18 Jan. 1985; Paul Dixon Sr, 23 Aug. 1984; Mary Kootenay, 25 April 1985; and Bill McLean, 26 July 1985.